Signing a message with your Ethereum address helps us to verify that you indeed own the Ethereum address that was part of the TENX token snapshot taken on 30 December 2018. This is because you can sign a message only when you have connected to your Ethereum wallet. Make sure to check it’s the authentic MyEtherWallet website. Step 2: Enter any unique message of your choice. Example: My name is Solomon. I am signing a message to participate in the TENX token claim. Q: What message do I use? You may input any message you’d like. The text you input here, together with your public key, creates a unique generated signature that serves as a ‘receipt’ of your signed message. This ‘receipt’ is what we need to verify your Ethereum address. Q: Can I choose not to include a name or nickname? Sure, you can leave that out! We do not need your name or nickname to verify your Ethereum address. 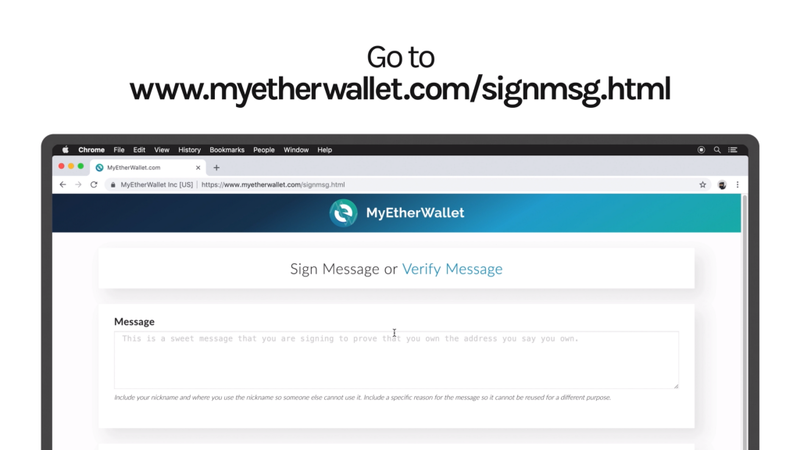 Any text you input here, together with your public key, creates a unique generated signature that serves as a ‘receipt’ of your signed message, which is used to verify your Ethereum address. Step 3: Connect to the wallet you used to participate in the snapshot. 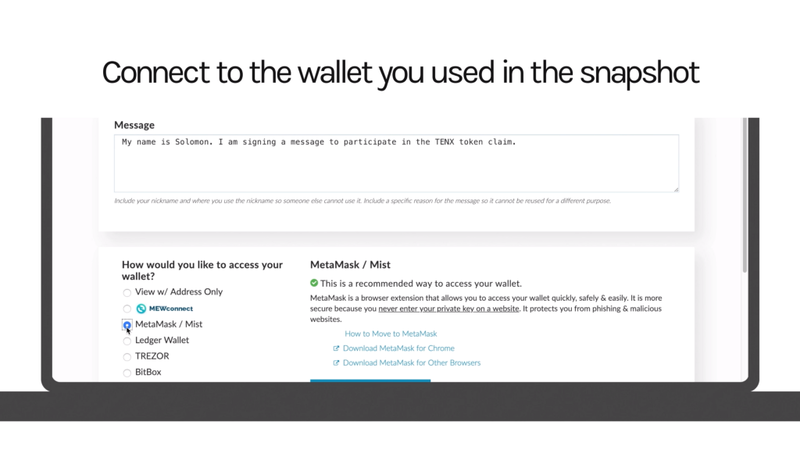 Q: What if my wallet is not shown in the list on MyEtherWallet? For Exodus: You’ll have to first get access to your private key with these steps. Then, connect to your wallet using the ‘Private Key’ option.